Clays have played an important role in medicine since the dawn of mankind and are still applied widely as active ingredients and/or excipients in pharmaceutical formulations. Due to their outstanding properties of large retention capacity, swelling and rheological properties, and relative low cost, they have been used widely as advanced carriers for the efficient delivery of drugs by modifying their release (rate and/or time), increasing the stability of the drug, improving the dissolution profile of a drug, or enhancing their intestinal permeability. In addition, recent studies have shed new light on the potential of clay minerals in the nanomedicine field due to their biocompatibility, beneficial effects of clay nanoparticles on cellular adhesion, proliferation, and differentiation. Use as active ingredients and excipients are exerted via the oral and topical administration pathways. Skin drug delivery represents an attractive alternative to the oral route, providing local and/or systemic drug delivery. Due to their complex structures, however, most drugs penetrate the human skin only with difficulty. Enormous efforts have been invested, therefore, in developing advanced drug delivery systems able to overcome the skin barrier. Most strategies require the use of singular materials with new properties. 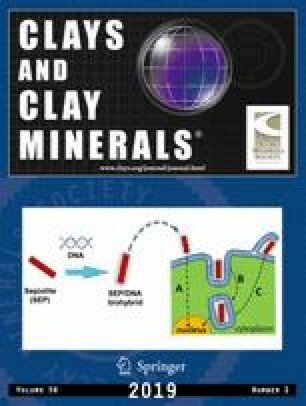 In particular, and on the basis of their inherent properties, clay minerals are ideal candidates for the development of intelligent skin drug delivery systems. In this article, the properties of clay materials and their use in the skin-addressed pharmaceutical field are reviewed. A brief introduction of skin physiology and biopharmaceutical features of penetration by a drug through the skin layers is also included and is designed to shed light on the optimum properties of ideal nanosystems for advanced skin drug delivery. Special attention is devoted to the pharmacological functions of clays and their biomedical applications in pelotherapy, wound healing, regenerative medicine, antimicrobial, and dermocosmetics.